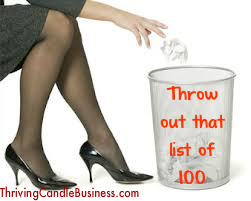 I have discussed ad nauseum the necessity for direct sellers to stop saying, “Can you do me a favor? [Buy my stuff, host a party, help me earn…]. I won’t belabor the point. Just stop doing it. It gives all direct sales consultants a bad name. But just in case it hasn’t quite sunk in yet, here’s a lovely visual that may help. It’s a quote by Ash Ambirge of The Middle Finger Project. Sometimes it takes a different person, saying the same thing for it to click. Ash is probably the only person I’ve ever fan-girled over, if that’s even possible for a 50+ year old professional to do. Simply put, I agree with so much this woman says. That doesn’t happen often. Tattoo this to the inside of your eyelids. And for the love of puppies, stop trying to convince people to buy your stuff. We are a society that likes free samples. We like to try it before we buy it. We test drive cars; we lie down on mattresses; and we accept food samples from the lady in the grocery store. Free samples are one of the top ways to attract new customers. Websites, catalogs, brochures and verbal promotion are all well and good (and needed). However, generally it’s not until someone can smell, taste, feel, hear or see the product offering are they really sold on it. And I will eat them in the rain. And in the dark. And on a train. And in a car. And in a tree. They are so good, so good, you see! So I will eat them in a box. And I will eat them with a fox. And I will eat them in a house. And I will eat them with a mouse. And I will eat them here and there. Say! I will eat them ANYWHERE! I do so like green eggs and ham! Thank you! Thank you, Sam-I-am! Scentsy has a beautiful product catalog, but like all catalogs, almost 100% of the time, the photos still don’t justice to the actual item. Say! 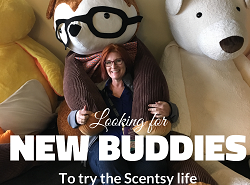 I like Scentsy I do! I like them, Sam-I-am! And I would smell them in a boat. 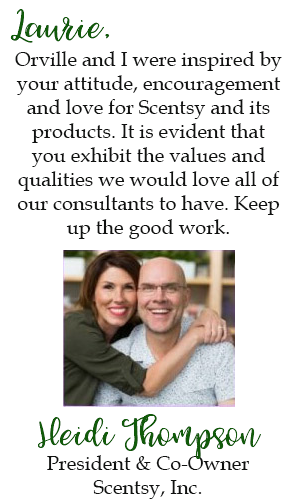 And I would sniff them with a goat” I do so like Scentsy! Thank you! Thank you, Sam-I-am! Business Samples at Halloween – good idea or not so much? Trick or treat, smell my feet; give me something good to eat. Ah the time of year when all the little vampires and princesses make their way around the neighborhood to fill their pillowcases full of ooey gooey dentists-love-it goodness: Halloween, the candy lover’s holiday. Yet each year, a number of direct sales consultants see this Snicker’s bar holiday as an opportunity for them to market their business to all the short people who approach their door. What do you think? Do you think it’s a good idea or a bad idea to suggest handing out samples of your candles, lotions, spices or coupons? While you’re thinking about it, I’ll share with you my unsolicited opinion of this practice: #FAIL. Halloween is a children’s holiday. They are begging for something good to eat; not for anti-wrinkle cream and certainly not for an inedible discount coupon. Not only will the children be disappointed they didn’t get Skittles, they could possibly pop it in their mouth or the sample could contaminate their plastic pumpkin so that now their Tootsie Rolls and Milky Way bars all smell like the hunk of wax you plopped in with their stash. Some suggest it’s better to hand the children something to rot their teeth, and then say, “And here’s a little treat for Mom” and force the parental unit to approach the door so you can push your wares on the unsuspecting chaperone. To that, I say it’s better than the above, but still not great. If you’re hell-bent on advertising your business on October 31, the least offensive method of doing so would be for you hand the homeowner a sample after Jr. gets his Reese’s Peanut Butter Cup. Quickly, and I mean short and to the point – as you’re departing the front porch, hand your neighbor a sample and say, “Hi, I’m Lucy. I just live over on [Elm] Street. If you know anyone who likes [candles] could you please pass this on? Thanks so much.” Then promptly leave. Don’t linger and don’t give a spiel. That way it’s not too evasive and it’s non-threatening. You’re not asking them to buy anything but rather just to pass along your info if they know anyone who may be interested. And it gives you a chance to meet your neighbors. Just don’t lose sight of the real reason your wee one is wearing her cowgirl costume over her winter coat and you’re standing in the drizzle freezing your hiney off. Trick or treat, smell my feet; give me something good to eat. And gimme lots of extra chocolate because Mommy is going to eat most of it after she makes me go to bed! Please Like, Share and Post a Comment.